St. Cecile Lodge, No. 568 is a Masonic lodge that meets in the daytime on the first Tuesday of the month at Masonic Hall in New York City. Its charter was granted by the Grand Lodge of Free & Accepted Masons of the State of New York in 1865. 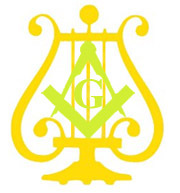 On this website you will find information relative to our lodge's history, where we meet, news from our brothers in the arts, how you can contact our lodge's secretary, as well as a page dedicated to some of our most celebrated alumni, who include Brothers "Harry Houdini," Bill Payley, Louis B. Mayer, Vincent Lopez, Al Jolson, Paul Whiteman, among many more!